Details: One (1) redemption per email address 4/21/2018 12:01AM Mountain Time through 4/28/2018 11:59PM Mountain Time. 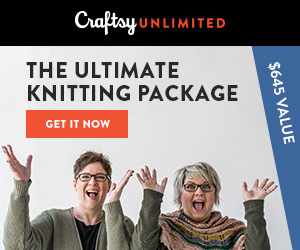 Instructions for redeeming free kit and $25 coupon will be sent via email upon purchase of the Ultimate Knitting Package. Details: One (1) redemption per email address 4/21/2018 12:01AM Mountain Time through 4/28/2018 11:59PM Mountain Time. Instructions for redeeming free kit and $25 coupon will be sent via email upon purchase of the Ultimate Crochet Package. You’ll love MOO! They’ve awesome print products and cool design finishes. Get 20% off your first order! Claudette – my coupon code was emailed to me after my trial period ended. Hope you enjoy your subscription!